Teaching Authors--6 Children's Authors Who Also Teach Writing: Our Second Blogiversary, a Critique Giveaway, and a Special Poem! Our Second Blogiversary, a Critique Giveaway, and a Special Poem! Hooray! 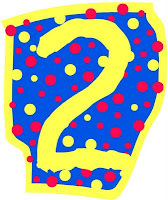 Today is our Second Blogiversary! Our Second Annual TeachingAuthors Critique Giveaway! Full details are posted below. But first, since today is also Poetry Friday, I'd like to share a special blogiversary poem by my amazingly talented co-blogger April Halprin Wayland. If you'd like to read the story behind this poem, along with more of April's Poetry Month poetry, visit her website. And don't forget to check out today's Poetry Friday roundup at the Book Aunt blog. Post a comment saying how you follow us for one entry. If you are an email subscriber, you must also provide your email address in your comment. Be sure to indicate which type of critique you'd like to win, too. You may receive one bonus entry by helping to spread the word about this giveaway via a blog post, Tweet, or Facebook link. As proof, you must post a second comment containing a link to your blog post, Twitter address, or Facebook wall. Entry deadline is 11 pm (CST) Tuesday, May 17, 2011. The winner will be determined using the random number generator at Random.org, and will be announced Wednesday, May 18. Please note: your manuscript must be formatted in the same way you would to submit it to an editor or agent: in a standard 12-point font on 8 1/2 x 11" paper with one inch margins. For more on manuscript format, see this article. After we have identified the winners, we will assign the appropriate TeachingAuthor to each critique. That TeachingAuthor will contact the winner via email regarding the submission procedure. If you'd like to read about our qualifications before submitting your entry, see our "About Us" page. That's it! If I've left out something important, feel free to ask questions in your comments. Happy Blogiversary! Love the poem! I follow you via facebook and would love to win a critique by one of the Teaching Authors. Oops! The comment above is from Kim Hutmacher, not the entire Wild About Nature blogging team. Thanks, Kim. And hooray for being the first to register for the giveaway! Love the poem. Last year on our Blogiversary, we gave away critiques also. And we were privileged to see some amazing work. This year we will be doing it again. But I think I like your approach better. Hello Teaching Authors! I'm an email follower. I look forward to your inspiring posts and save my favorites in a file. I'd love to win a pb crit. Whatever it is, I'd be thrilled to receive my first chapter book critique from you. I follow you via email,and enjoy it. Thank you! I follow on email, recommend this blog regularly, and will tweet about the anniversary/give-away next (give me a few minutes to get to it...). All of the above reduce my chances to win a fiction PB critique, but still... I want other writers to know about this great resource! Fave part of blogs- such wisdom and great writing sparks. Second fave- your wonderful links, always really helpful! Hurray! Congratulations to you all - and thanks for sharing The celebration poem - "revolution's poetry" - nice! Thanks for all your enthusiastic comments! Words, words...aren't we lucky to be bathing in them?!? I happened upon you in the SCBWII postings- love your blog and your enthusiasm for kidlit. Congratulations and GREAT blogiversary poem! Paul Revere and Kidliosphere -- BRILLIANT! I am an email follower, and, living in Canada, I am super excited to finally be able to take part in a contest!! I would be interested in a picture book critique. I'm a Google Friend, and I'd love a PB fiction critique. Happy Anniversary! I saw Carmela's post in the SCBWI Discussion Boards. Happy Blogiversary! Wonderful poem and incredible blog! I'd love a PB Critique from one of the Teaching Authors! Thanks for entering our contest, ladies, and for helping to spread the word on Facebook. Although I have you bookmarked, I wasn't officially following. I am official now on Google. Love the poem, and Congrats on two years in the blogosphere! I would like the YA crit. On my blog it's along the right side under my list of AWESOME giveaways and Tink. Happy Blogiversary! How wonderful! I'm a google friend connect follower and I'd love to win the fiction PB critique. I'll blog about it tomorrow and come back with the link! Great opportunity! I follow your blog and would love a pb critique. I am reposting the info on twitter @bnlippy. Thanks for the giveaway and happy anniversary!!! Happy Blogiversary! I follow your blog and would love a fiction PB critique! I follow you as an email subscriber. I'd love a picture book critique. What a great idea! I just started following your blog and I'd would love a Poetry critique. Thanks! I follow you on Google and posted on facebook! I'm an email subscriber who would love to win a PB crit.Happy Blogoversery!! Yes, that time spelling blogiversary the right way! I follow you on Google and Network blogs and I subscribed by email ( sally at paraklesis dot come ). If I win I'd like YA synopsis, or if that's already taken, then a crit of a poem would be nice. I just learned about your blogs/site! I would love to enter the drawing for a critique (first 5 pages of a chapter book). I follow through email. Thanks! I follow your blog via email. I would love a critique of a fiction picture book! Sorry... forgot my email. kdcullinan at comcast dot net. I follow your blog via e-mail and pass it along to other children's book writers every chance I get! Many thanks to each of you for all you do for all of us! I would love a picture book critique. I follow you through email: ofairone@netzero.net Would love to win a ya novel critique! Thanks for the great inspiration! Thanks for all the blogiversary good wishes, everyone, and for helping to spread the word about our contest. And a special welcome to all our new followers! Good luck to all. I'd love to win a crit of the first five pages of my MG novel. I follow on Google Friend connect and I'm off to tweet! Thanks for this wonderful opportunity! What a great contest! I now follow you and here is the link to my tweet about the contest. Thanks for the opportunity! I'd love to win a critique. Thanks for hosting a contest. I'm your newest google friend follower. Thanks for entering, ladies, and for helping to spread the word. Good luck to all! I've followed this blog (Google Friend Connect), and if I did win I would take the first 5 pages of my novel critique (it's middle grade). Follow via GFC. Would love to win PB critique. Fiction. Congrats on your 2-yr bloggiversary. Just tweeted on twitter for second point. I've read your blog off and on (usually when there's a link in the SCBWI Listserve) but now signed up to follow Teaching Authors via Facebook. I'd love to win the synopsis critique, as it will prompt me to get going on a brand new middle grade novel I've been wanting to write. Loved the favorite childhood tree post and found "my tree" (which my sister and I called Antonio) on Google Earth. Posted the pic and a link to the Teaching Author's post on Facebook (sort of for a 2nd entry in the blogiversary contest but also just for fun). I am a new follower, just signed up to get email updates, I'd love to have someone check out a poem! Wow! I bought my first ever copy of the Children's Writers Market this evening and found your blog--I love Glogging! A critique of a picture book would be very much a gift! Thanks, Carmela! You are sitting on my google home page @ jules.rolfe@gmail.com. Two years and still going strong! Congratulations! But I'm not surprised at all. You always have such interesting, informative, and entertaining posts. I'd love to win this giveaway and submit the first five pages of a middle grade novel. Happy Blogiversary! I follow you via e-mail and have picked up a plenty of useful information. I'd love to win a fiction picture book critique.